Join the Arthur Murray Family! walks through our doors, and though there are thousands of different reasons people learn to dance, everyone finds enrichment in life through dancing. The moment you walk through our doors, you’ll know you’ve come to the right place! From the first smile to your first steps, you’ll see why our students love to learn and dance at Lincolnshire Arthur Murray! Our friendly staff, beautiful studio, and wonderful students all play a part in creating the most fun and inviting learning experience found anywhere in the world! Combine this with the time honored, tested and true “Arthur Murray System”, and you get a truly unique and wonderful journey towards your own dancing adventure! The most important part of learning to dance is walking through the front door! After receiving a warm welcome from our staff, you will have the opportunity to speak with an executive instructor about what you expect from your time at Arthur Murray. Goals, availability, prior experience, and which dances you want to learn are all factors that will help your instructor give you the most personalized experience possible. Next, it’s out to the dance floor, where the real fun begins! On your lesson you will learn the first and most important steps for each dance you’ve selected. 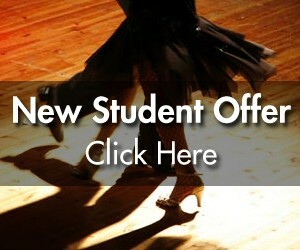 Be it Salsa, Swing, or even the Tango, you’ll be dancing right away on your first lesson! Even if you have no idea which dances you want to learn, our expert instructors can choose the dances that will best suit your needs! If you already have some dance experience, great! Show-off a little for your instructor and he or she will pick up at whatever level you’re ready for! Once you’ve finished dancing, your instructor will plan a personalized program to suit your specific needs.